Glenn Bierman, CEO and Co-Founder, Tycon Partners, is an expert in Capital Markets. Mr. Bierman has served as CEO and Director of public and private companies, as well, is a seasoned Investment Banker involved in more than $1 billion in transactions, including IPO’s, M&A’s, ADR’s, equity and debt funding, restructuring’s, re-capitalization’s, strategic partnering and joint ventures. His industry experience includes technology, life sciences, healthcare, renewable energy, industrial services, clean tech and entertainment. Former Founder/Owner/EVP of Global Markets Capital, LLC, a FINRA/SIPC registered International Investment Bank. In 2004, Glenn Bierman won the Frost & Sullivan Advisor of the Year Award for best Pharmaceuticals Buy-Side Middle Market transaction for such a transaction. In 1995, Glenn Bierman founded Tycon Equity Partners, LLC, located in Trump Tower, NYC, where he served as CEO and Investment Banker. 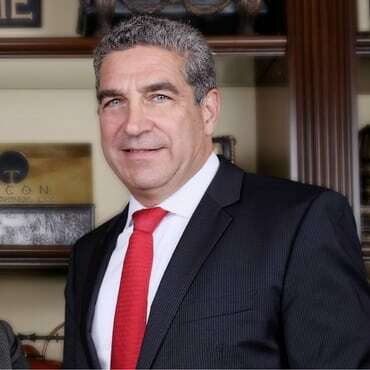 In 2000, Tycon Equity Partners was acquired by a first-tier, International Law Firm, as well, a recipient of U.S. News “Law Firm of the Year” in various practice areas. Glenn is a source in a book published by Bloomberg, “Where to Go When the Bank Says No”, an Entrepreneur Magazine article, “Public School – Learning how to prepare for an IPO” and Nation’s Business, “Easier Avenues To Equity Capital”. Mr. Bierman has also served as an expert witness for FINRA listing hearings. Mr. Bierman’s Fortune 50 experience includes Telecommunications Analyst at IBM’s headquarters, and Investment Banker/Financial Advisor, Smith Barney/Citigroup. His technology experience also includes Director of Technology, Skadden, Arps, Slate, Meagher & Flom LLP and Affiliates. Glenn has the unique insight and experience on “both sides” of the table, therefore understanding what CEO’s want and how Investment Bankers think. He understands that a CEO is torn between operating the business of the Company versus the need to give the Company’s stock the attention it needs for investors and Capital Markets to understand the real value of the Company. Glenn has advised numerous CEOs in helping them to achieve increased shareholder value by utilizing unique strategies to achieve desired results.